The New Zealand wine industry is thriving in a relatively small country that depends on exports for its survival. According the 2015 New Zealand Winegrowers Annual Report, the value of New Zealand wine exports grew 7% in 2015 to reach a new record of $1.42 billion. Three markets, Australia, UK and USA each account for around one quarter of exports (the USA is the largest export market by value) with significant future growth potential evident in North American and China. New Zealand wine is exported to more than 90 countries. Exports of Pinot Noir nearly doubled from 2008 to 2015. New Zealand is still renowned for Sauvignon Blanc which accounts for the vast majority of the country’s wine production, but Pinot Noir, and even Chardonnay, is attracting the most attention from wine connoisseurs. As Nick Stock, Australia Gourmet Traveller Wine, pointed out in April 2015, “The attention given to New Zealand Pinot Noir is well above what’s deserved in terms of the amount made, but factor in their quality across a range of styles and it’s easy to justify the hype.” Refer to chart below for percentage of production by varietal. 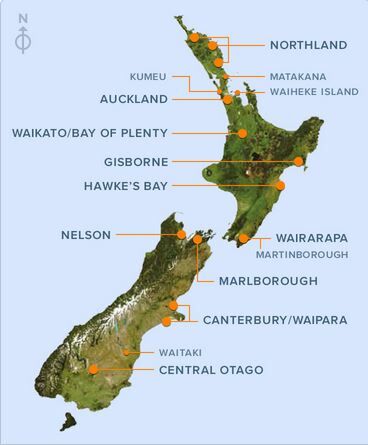 From 2006 to 2015, the number of New Zealand wineries has increased from 530 to 673 and the number of growers from 87 to 762. Total producing vineyard area in 2015 was 88,609 acres. Pinot Noir acreage has increased from 10,039 acres in 2006 to 13,748 acres in 2015 (nearly equal to the 14,027 acres of Pinot Noir in the Willamette Valley. Although New Zealand Pinot Noir exports are increasing, only a small amount of the top end wines reach fine wine retail stores in the U.S.. 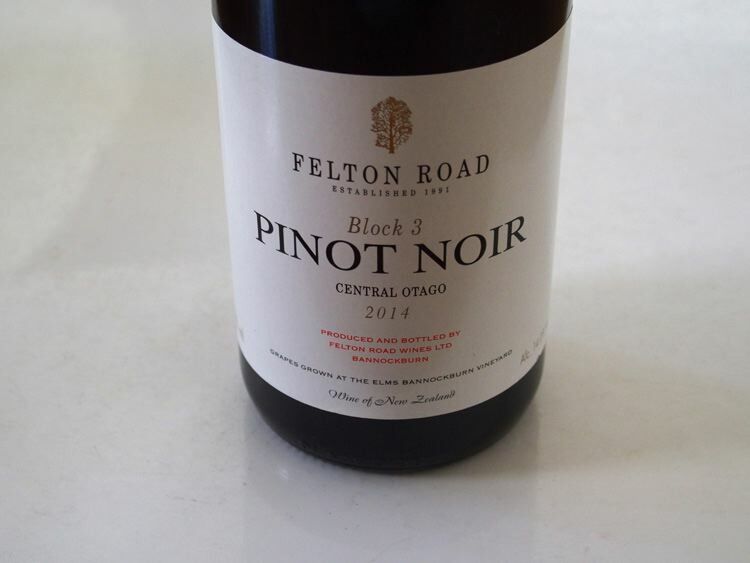 Periodically, I like to assemble a representative sample of wines available here to see the quality and styles of New Zealand Pinot Noir. I have found that a range of wines are produced much like the variety of Pinot Noir evident stateside, ranging from elegant, classic Pinot Noirs, to more earthy, mineral-driven styles, to sappy, highly extracted examples. It is impossible to talk about a specific New Zealand style, especially since the Pinot Noirs from the three largest Pinot Noir growing regions, Martinborough in the North Island, and Marlborough and Central Otago in the South Island, produce wines that are quite different in character. 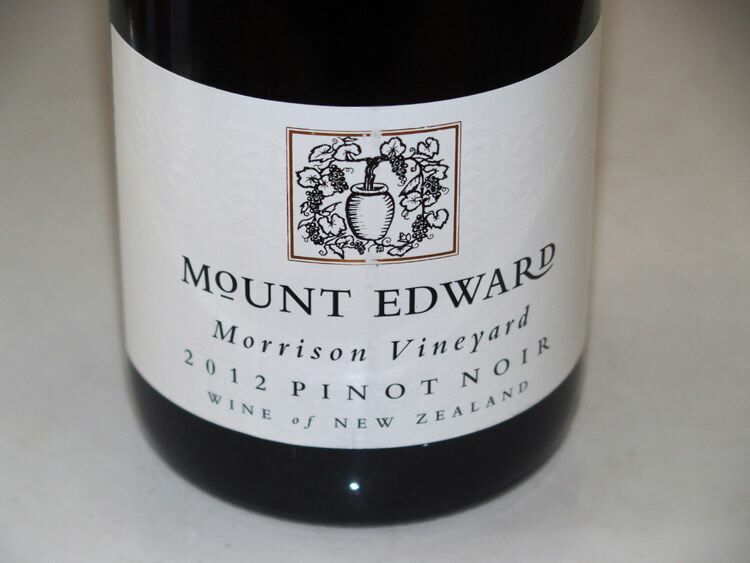 Prices for many of the better bottlings of New Zealand Pinot Noir are modest compared to similar stateside wines. There is also a vast quantity of value-priced labels that are fine, but no better than the value-priced labels from California and Oregon. 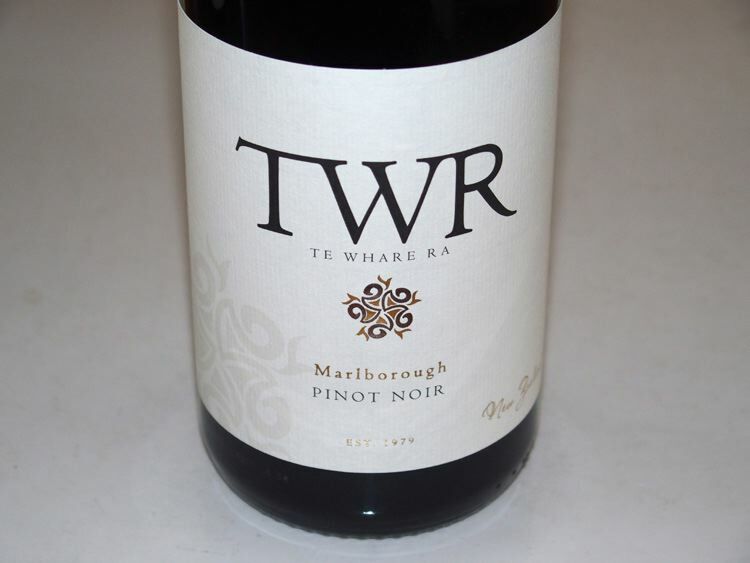 The commonly planted New Zealand Pinot Noir clones are similar to those in wide use stateside (Pommard- UCD 5, Martini - UCD 13, and Dijon 113, 114, 115, 375, 667 and 777) except for the Abel clone (also known as the Ati Rangi clone) that is allegedly a suitcase selection from Domaine de la Conti smuggled into New Zealand in the 1970s and unique to New Zealand. 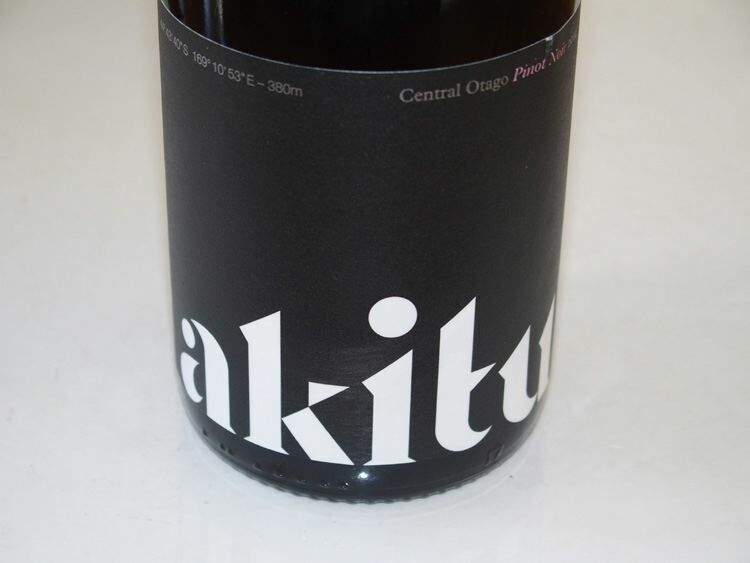 AM 10/5 (also known as Anton Meyer and origin is Wädenswil, Switzerland) and AM 2/10 (also a Wädenswil clone), were the first premium Pinot Noir clones imported into New Zealand in the 1980s. Winemaking, at least for most of the wines reviewed here, is very similar to that employed in California and Oregon. The grapes are mostly de-stemmed, with variable but usually low amounts of whole cluster. There is a cold soak, followed by indigenous yeast fermentation in small vats, and a post fermentation extended maceration. Aging can vary from 10 to 18 months, usually in 30% or less new French oak barrels. The wines are usually unfiltered. 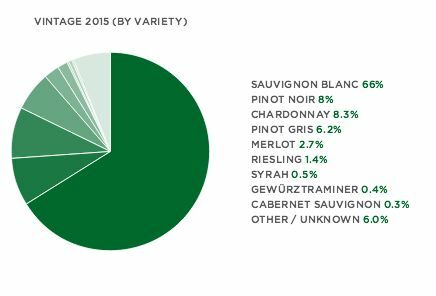 The Kiwis are leaders in screwcaps, and the majority of wines are closed with a screwcap. 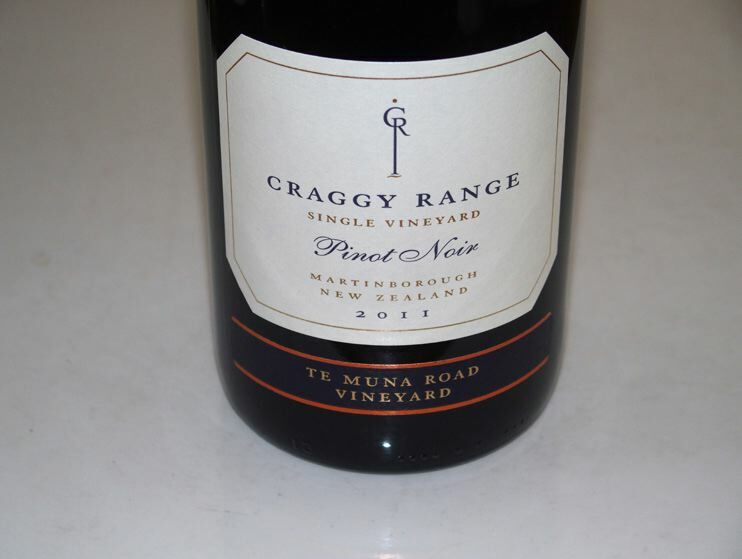 Early 2016 is a suitable time to look at examples of New Zealand Pinot Noir because the 2013 vintage wines are in our retail marketplace now. 2013 was an exceptional vintage in New Zealand and has been hailed as “vintage of a lifetime,” vintage to remember,” and “one of the best vintages in recent memory.” 2013 was a near perfect growing season in New Zealand leading to a record crop that exceeded the 2012 vintage by 28%, with the 2013 Pinot Noir crop 36% larger. 2014 turned out to be an even bigger crop for New Zealand (30% higher). Wine Spectator and Wine Enthusiast review and score some New Zealand Pinot Noir, as do James Suckling and Jancis Robinson, but the most comprehensive coverage is by wine critics specializing in New Zealand such as Bob Campbell, MW - www.bobcampbell.nz, Raymond Chan - www.raymondchanwinereviews.co.nz, Geoff Kelly - www.geoffkellywinereviews.co.nz, and Sam Kim - www.wineorbit.co.nz. It is interesting that an article just appeared on January 20, 2016, at www.nzherald.co.nz, “Paid-for wine reviews draw flak.” The latest code of ethics of the Wine Writers of New Zealand strongly discouraged the practice of paid-for wine reviews, emphasizing that any minor conflicts “had to be fully disclosed to all interested parties.” University of Otago associate professor in marketing Lisa McNeill said, “It is naive for people to think the practice of paid reviews wasn’t common across all industries.” She encouraged wine writers to avoid engaging in accepting payment from a wine company to review its product. None of the wine writers mentioned here were implicated. I picked out wines to review that were well regarded by New Zealand wine critics and available for sale in the USA. There are many stunning wines here and some that combine excellence with value. 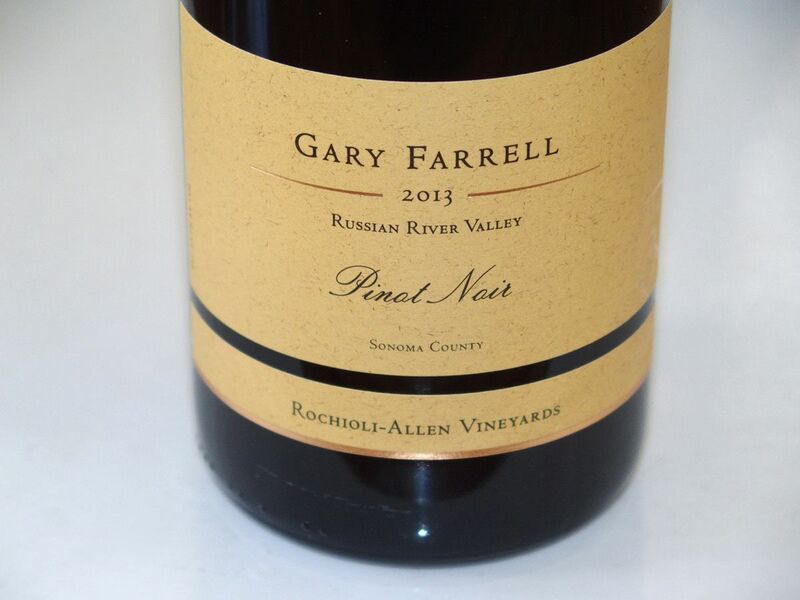 I believe you will find these Pinot Noirs are more akin to California brethren in style than Old World, offering plenty of extraction and ripe phenolics, yet ABV levels that are generally lower than California Pinot Noirs. I found that a number of wines when tasted two to three days after opening, had lost vibrancy and charm, seemingly bogged down by the fruit load. The tannins had melded, but the wines lacked acidity. If you look at the acidity levels of the wines reviewed (where available), they are not particularly high. With a few exceptions, I think these are showy wines for early drinking, but not long term cellar candidates. They are like noted female actors at the Oscars: primped and primed for television, but when seen two days later at Starbucks, seem rather ordinary. Look for these wines at retailers such as K&L Wine Merchants in California, Saratoga Wine Exchange in New York and other sources listed on www.wine-searcher.com. As legend would have it, Maori navigator Kupe abandoned three canoes at the site of Escarpment Winery after discovering the land now known as New Zealand. Escarpment rests on 60 acres of alluvial gravel in the Te Muna Valley near Martinborough. The soils are over 75,000 years old and are a nurturing matrix for grapevine roots. The estate!s four vineyards provide 70 percent of Escarpment!s grape supply. Kupe Estate Vineyard is a high density planting of Abel clone with deep alluvial gravels and own rooted vines. Pahi comes from McCreanor Vineyard that was first planted by Jack McCreanor in 1986 and is among the oldest Pinot Noir vineyards in New Zealand. Both grafted and own rooted clone 10/5 vines. 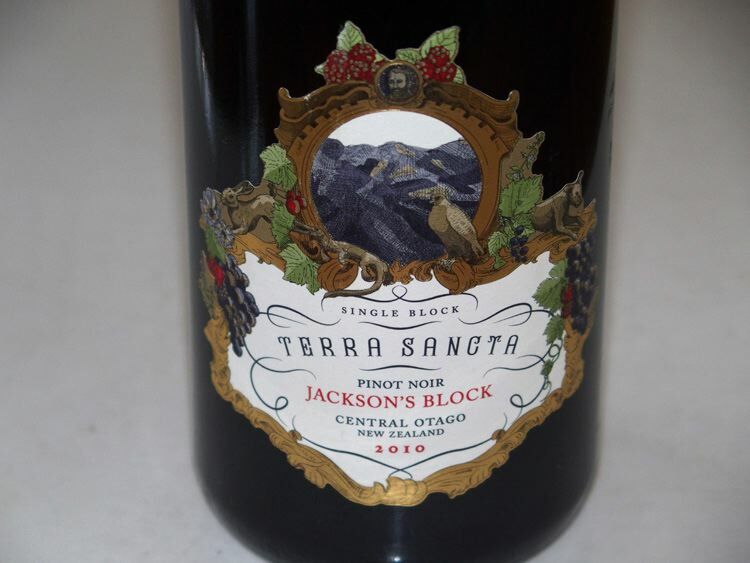 (This vineyard was sold after Jack McCreanor!s passing so the source of this bottling will change) Te Rehua contains multiple clones of Pinot Noir planted in 1990 by Geoff Bunny and now owned by Tim and Ruth Bartin (Barton Vineyard). Kiwa comes from Cleland Vineyard that was planted on the Martinborough Terrace alluvial gravels in 1989 by Graham and Gill Cleland and contains a blend of UCD Davis clones 5, 6 and 13. The winery buildings are inauspicious, standing watch on the renowned Martinborough River Terraces and overlooking the river itself. The barrel room is tucked underground and enjoys ideal cellar temperatures below its grassy roof. Escarpment was established in 1998 as a joint business venture between Robert & Mem Kirby (of Australia!s Village Roadshow and owners of Yabby Lake Winery in the Mornington Peninsula of Australia) and Larry and Sue McKenna. Besides the Escarpment bottling, the four wines in the Martinborough Insight Series (Kupe, Kiwa, Pahi and Te Rehaua), offer an insight into the terroir of Martinborough. They are particularly inspiring wines, in 2013, and will certainly age for 10 to 15 years with aplomb. A mid price point series of wines is offered under The Edge brand. The winery also offers a Rose, Chardonnay, Pinot Blanc, Pinot Gris and Riesling from Escarpment Vineyard. 13.5% alc., pH 3.68, TA 0.49, $29.99. Imported by Chambers & Chambers, San Francisco, CA. This winery was established and originally run by the famous Sancerre winegrowing family of Henri Bourgeois. Arnaud Bourgeois is the current GM of Clos Henri. Close-planted vines (twice that of most Marlborough Vineyard) in heavier clay soils of estate vineyard. Clones Pommard 5, 10/5, 667, 777, 114, 115, and Abel. 8 to 13-year-old vines grown in the Wairau Valley of Marlborough. 100% de-stemmed, whole berry fermentation, 1-week cold soak, 3-week cuvaison, aged 12 months in French oak barrels, 25% new. · Moderate reddish purple color in the glass. The oak-themed nose offers aromas of tobacco, espresso, toast and spice. The lovely core of fresh dark red and black fruits wears a significant oak imprint. The silky tannins are well integrated, and the wine finishes with good length. I first met Bibiana González Ravez several years ago at the World of Pinot Noir when we were interviewing young winemakers for a feature on Grape Radio: “A Day in the Sun at the 2011 World of Pinot Noir,” www.graperadio.com/archives/2012/02/09/a-day-in-the-sun-at-the-2011-world-of-pinot-noir/. Her interview was the only one of several that I still remember, since her story was unlikely and intriguing. She dreamed of making wine since the age of 14, growing up in Medellin, Colombia, yet that country had no wine culture at all. Bibiana would study chemical engineering in Colombia, but go on to work in the vineyards and cellars of Burgundy, the Rhone Valley, Bordeaux, Alsace and Cognac, and earned a Technician of Viticulture and Oenology diploma in Angoulême, followed by a Diploma of Oenology with honors from the University of Bordeaux. After an extraordinary experience working at Château Haut-Brion, she moved to Sonoma County in 2004 and gained winemaking expertise working 14 harvests in California at wineries that included La Crema, Peay Vineyards, Au Bon Climat and Qupé, before becoming the director of winegrowing and winemaking at Lynmar Estate in 2009. Bibiana would leave Lynmar Estate in 2011 and become the winemaker for Pahlmeyer’s Sonoma Coast project, Wayfarer, in 2012. At Wayfarer she has crafted exceptional Pinot Noirs and Chardonnays that have made my annual All-Americans list. Bibiana was named “2015 Winemaker of the Year” by The San Francisco Chronicle, and her wines have received considerable praise from the wine press. 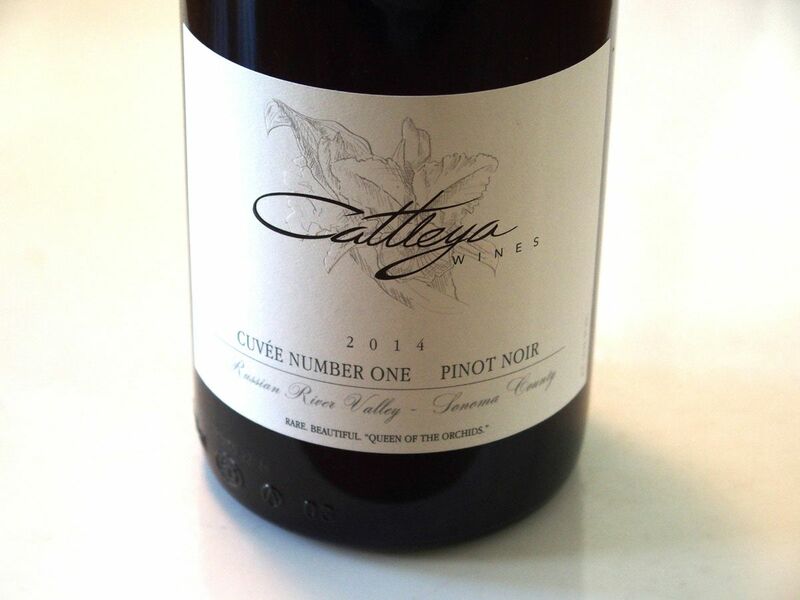 Most recently, she launched her own brand, Cattleya (“Cat-LAY-a”), the culmination of a dream that started more than 20 years ago, offering vineyard-designated Pinot Noir, Chardonnay and Syrah. Cattleya is an orchid, the national flower of Colombia, and is one of the most beautiful and delicate orchids in the world. The wines are sold through an allocated mailing list at www.cattleyawines.com. They are not inexpensive, but they reflect passionate and experienced winemaking of the highest standards and are connoisseur’s wines by a Colombian-born, French-trained, California-based winemaker. Bibiana has partnered with her spouse, winemaker Jeff Pisoni, to make Shared Notes, a high-end Sauvignon Blanc producer. She also launched Alma de Cattleya, a value-priced brand of California wines to be distributed in Columbia. If you have had the good fortune to sample Wayfarer wines, you know that they are rather bold expressions of Pinot Noir, almost an antithesis of the trend in Sonoma Coast to pick early and offer more delicate wines with lower alcohol and higher acidity. The Cattleya wines are similar to Wayfarer in character, in that they offer rich, ripe flavors, yet in a balanced and charismatic style. Three wines were offered from the 2013 vintage, two of which are reviewed here, and the third is a Syrah from Soberanes Vineyard in the Santa Lucia Highlands. Castello di Amorosa acquires Pillow Rd. Vineyard This 9-acre Pinot Noir (clones Pommard 4, 777, Swan and Calera) and Chardonnay vineyard is located in Sonoma county’s Green Valley of Russian River Valley just west of the town of Sebastopol. Former proprietors Pat and Anne Stotesbery created Ladera Vineyards on Howell Mountain in Napa Valley and offered Pinot Noir and Chardonnay under the Pillow Rd. Vineyard label. Dario Sattui, the owner of Castello di Amorosa, also recently bought Burt Williams’ Morning Dew Ranch Pinot Noir Vineyard in Anderson Valley. IPNC 2016: Pinot Noir in the Antipodes This year’s 30th Annual International Pinot Noir Celebration, July 29-31, 2016, will feature a Master Class in Australian Pinot Noir. The Masters of Ceremonies James Halliday will join presenters Michael Hill Smith and Tom Carson for Master Class: Australia. 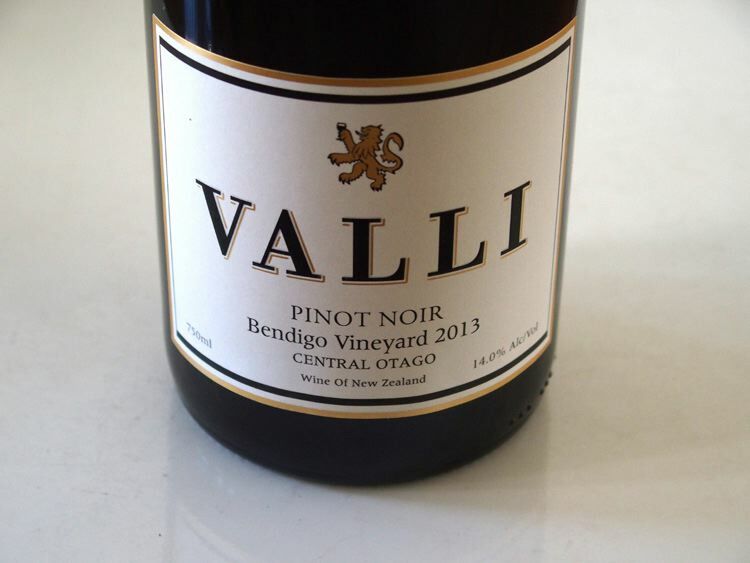 World-class Pinot Noir can be found within the vast island of Australia and I have written and reviewed the wines on occasion in the PinotFile. I have also traveled to the Mornington Peninsula in Victoria and can vouch for the high quality of the Pinot Noir produced there. James Halladay staked his claim in the Yarra Valley back in 1985 where he founded the now legendary Coldstream Hills. Michael Hill Smith found a niche for Pinot Noir at Tolpuddle Vineyard in the Coal River Valley in southeastern Tasmania. Tom Carson crafts his Pinot Noir in Tuerong, located in the northern reach of the Mornington Peninsula. 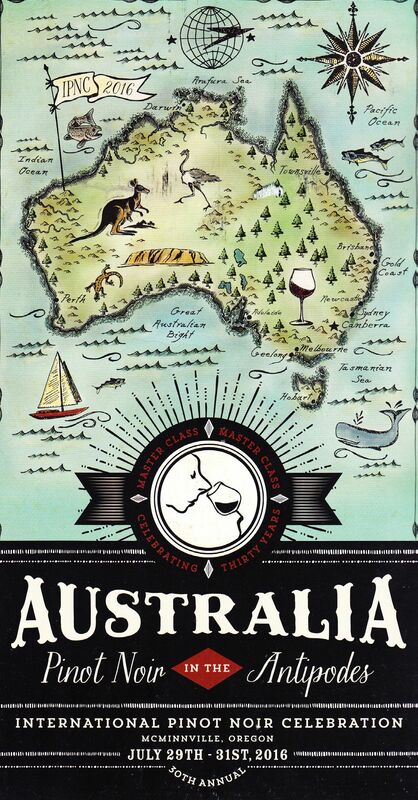 Enjoy an extensive tasting of Australia’s best Pinot Noirs, most of which seldom reach the United States (the Aussies like to keep it for themselves). For information and tickets, visit www.ipnc.org. Experts Decide if Organic Wine Taste Better An article published in the Journal of the American Association of Wine Economists (No. 190, “Does Organic Wine Taste Better? An Analysis of Experts’ Ratings”). The authors note that little consensus exists whether eco-certified products are better than their conventional counterparts. This paper used data from three leading wine rating publications to assess quality for 74,148 wines produced in California between 1998 and 2009. The results indicated that eco-certification is associated with a statistically significant increase in wine quality rating. Ship Compliant 2016 Direct-to-Consumer Wine Shipping Report Napa wineries reached an all-time high shipping record in 2015 with over $1 billion worth of wine shipped directly to consumers. Consumers continued to favor Oregon wine, with its shipments surging by 14.6% in 2015. Massachusetts consumers ordered $27.5 million worth of wine in the first year of legal direct-to-consumer shipping. Since 2010, the value of the direct-to-consumer industry has grown by 66%. Very small wineries (1,000 to 4,999 cases, which includes a large number of Pinot Noir producers) is composed of 40% of all US wineries and in 2015, these wineries overtook medium sized wineries for second place ranking of dollar value of wine shipped with a 13.3% growth. 2015 total sales were $445 million. 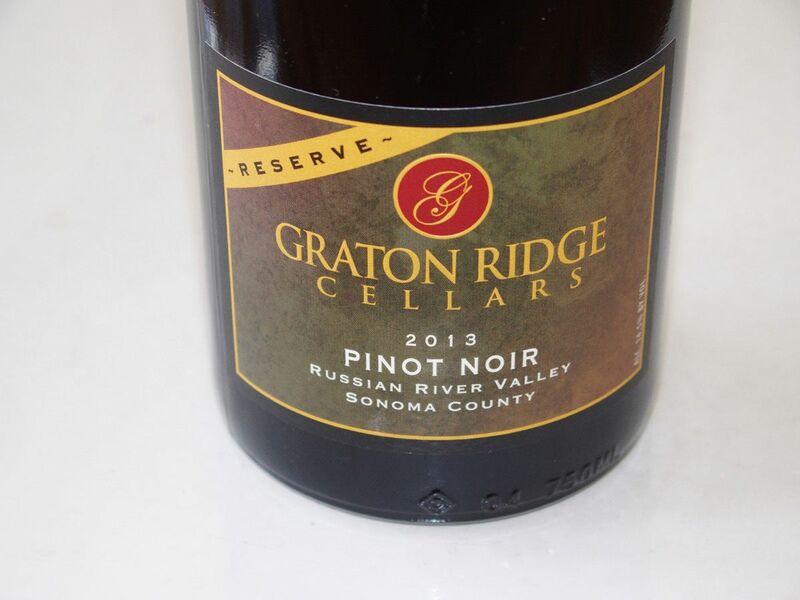 Pinot Noir decreased from 22% growth in volume to 2% growth in volume from 2014 to 2015. U.S. Winery Growth Continues Wine Business Monthly and Wines Vines Analytics reported that the United States now has 8,702 wineries, up 415 fro, 8,287 last year, a 5 percent increase. 7,061 are bonded and 1,641 are virtual wineries. California leads with 4,054 wineries, Washington is second with 671, Oregon third with 439, and New York fourth with 339. 2016 World of Pinot Noir The 16th Annual World of Pinot Noir has announced dinners and chefs for the two day event as well as discounted lodging at the host Bacara Resort. 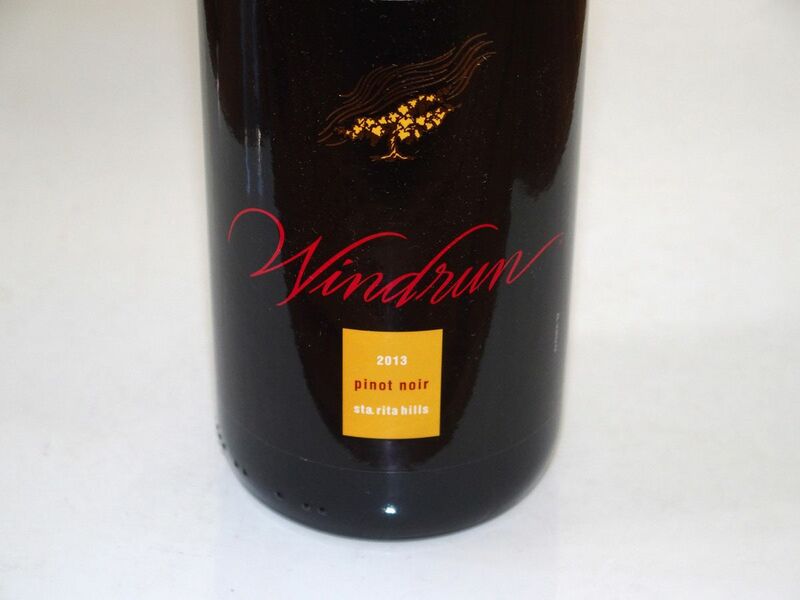 Visit www.worldofpinotnoir.com. 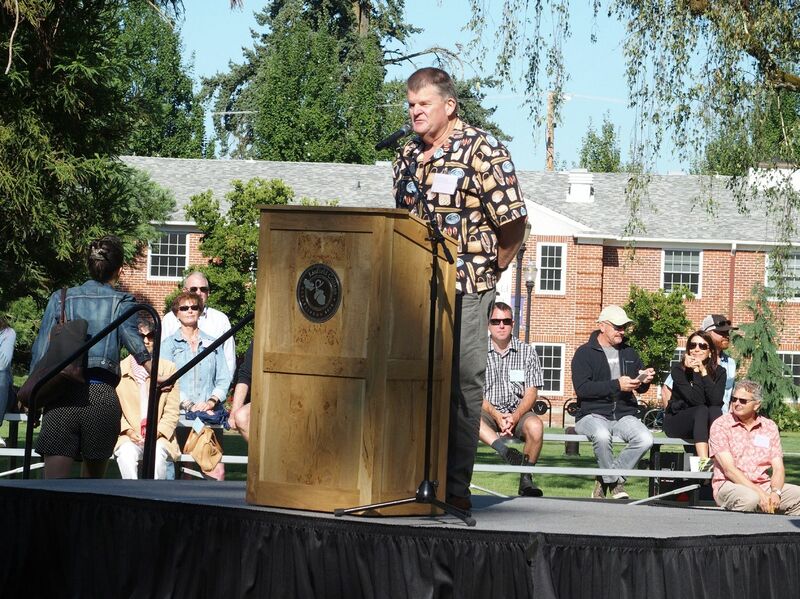 Sip McMinnville Wine & Food Classic The 23rd Annual McMinnville Wine & Food Classic will be held March 11-13, 2016, inside the Evergreen Space Museum. Purchase wine by taste, glass, bottle or case. 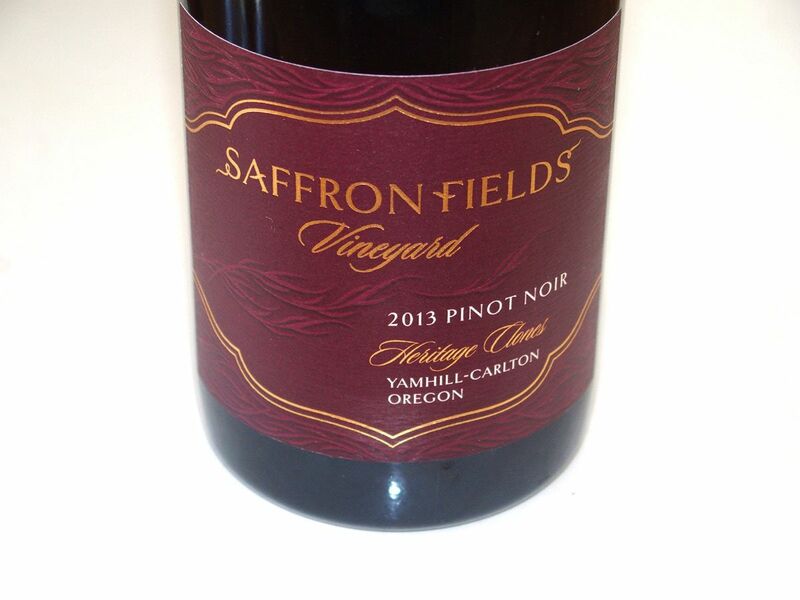 Participants include many small wineries featured in the PinotFile: Cardwell Hill Cellars, Hillcrest Vineyards, J Wrigley Vineyards, Left Coast Cellars, Potter’s Vineyards, Seufert Winery, Willamette Valley Vineyards. Watch some of area’s best chefs in the Northwest demonstrate their skills. For tickets, visit www.sipclassic.org. 2016 San Francisco Chronicle Wine Competition The competition received a record 7,162 entries, the highest number to date. 65 judges chose the best wines. The Red Sweepstakes Winners were 2013 Runquist Nostro Vino Vineyard Amador County Zinfandel and 2013 Sonnet Wine Cellars Tondre’s Grapefield Santa Lucia Highlands Pinot Noir. Best of Class winners by price category for Pinot Noir: 2014 Navarro Anderson Valley Pinot Noir ($19.50), 2013 SIMI Winery California Pinot Noir ($23.99), 2014 Seven of Hearts Willamette Valley Pinot Noir ($24), 2013 Balletto Vineyards Russian River Valley Pinot Noir ($29), 2014 Enjoy Premiere Vineyard Santa Barbara Pinot Noir ($35), 2012 Bonneau Sangiacomo Vineyard Sonoma Coast Pinot Noir ($37.99), 2013 Sonnet Tondre’s Grapefield Santa Lucia Highlands Pinot Noir ($40), 2014 Trattoria Grappolo Santa Barbara Pinot Noir ($45), 2013 Pellegrini Toboni Oakwild Ranch Russian River Valley Pinot Noir ($50), and 2012 Hyde Hyde Vineyard Carneros Pinot Noir ($65) tie with 2014 Westwood Estate Pommard Clone Sonoma Valley Pinot Noir ($54). I haven’t formally reviewed the Sonnet Tondre’s Grapefield Pinot Noir since the 2010 vintage, but I loved it then so no surprise that the 2013 vintage won a Sweepstakes and Best of Class Award. Fifth Annual Oregon Chardonnay Celebration 48 Oregon Chardonnay producers will be featured on February 27, 2016, at the Allison Inn & Spa in Newberg, Oregon. Chardonnay has quietly grown to be highly popular in Oregon and the quality of the wines have gained worldwide recognition. The International Pinot Noir Celebration is now guiding this event. This year’s seminar will have Elaine Brown directing a focused tasting of five winemakers’ interpretation of 2014 Durant Vineyard Chardonnay. On the day before, The Cuvée Stroll will be held also at the Allison Inn & Spa. This unique tasting event will feature a bounty of Oregon wineries, artisan food makers and beverage purveyors, and will benefit the ¡Salud! Foundation. For tickets to the Chardonnay event, visit www.picatic.com/oregon/chardonnay ($150 for seminar and tasting, $75 for tasting). For The Cuvée Stroll, RSVP to info@theallison.com ($25). New Generic Top-Level Domaine Website Endings The newest website endings, .WINE and .VIN gYLDs are now available to the public for general registration through Donuts Inc., the largest registry for new “not-com” domain names. During the active two month sunrise period more than 1,300 brand owners and trademark holders registered .WINE and .VIN domains. Not-coms provide a more descriptive and creative means for domain owners to brand their business, products and services. Donuts is making available a wide variety of .WINE and .VIN domains such as Boutique.VIN, Sommelier.WINE, WhereToBuy.Wine and USA.WINE. For more information, visit www.donuts.domains. Scientists Detail Pinot Noir Grape Aroma Profile as It Ripens A report in the Journal of Agricultural and Food Chemistry (“Quantitation of Thioprolines in Grape Wine by Isotope Dilution-Liquid Chromatography-Tandem Mass Spectrometry”) may give an option beyond Brix and acidity in determining quality of grapes at harvest time. Michael C. Qian and Fang Yuan wanted to develop a way to determine maturity based on aroma. The researchers identified 49 main odor compounds in young and ripe Pinot Noir grapes from two consecutive years, 2012 and 2013, using gas chromatography mass spectrometry. Four odor compounds (thioprolines) were consistently found in mature grapes. Unfortunately, the full article is only available to subscribers. (1) Almost 2500 wineries (primarily North American) are profiled in the Winery Directory. The list is continuously being updated and new wineries added almost daily. Winery search can be conducted by appellation or region or by name. (2) The Vineyard Directory includes detailed profiles of 1554 California and Oregon Pinot Noir vineyards. This listing is far from complete, but is an ongoing project. (3) Wine reviews may be searched by newsletter, winery, appellation or vineyard. Say, you like Pinot Noir from Bien Nacido Vineyard. You can search for all reviews of wines made from this vineyard. Also, “Notable” Pinot Noir and Chardonnay reviews can be searched (wines with highest scores or recommendations). (4) Wineries can link any article or review to their own website by following instructions on each winery’s profile in the Winery Directory. (5) A full listing of Pinot Noir festivals is available. (6) The Travel Directory (Pinot Trail Travel) includes recommended wineries to visit, lodging, restaurants, activities, etc for each of California and Oregon’s major Pinot Noir winegrowing regions. This entry is continually being updated. (7) A listing and link to Grape Radio podcasts I have participated in and recordings at events I have attended over the years since 2006.